Powers and Abilities: Due to prolonged exposure to Pym Particles, Hank Pym can alter his mass and density in order to shrink to roughly the size of an ant or grow several stories tall. He is also one of the most intelligent men in the Marvel Universe and an accomplished scientist, particularly in the fields of robotics and bio-chemistry. Weaknesses and Achilles’ Heels: Spousal abuse; a host of mental issues, including sometimes-crippling insecurity, exasperated by frequently using his power to increase his size; accidentally creating killer robots; occasional bouts of heart problems brought on by growing beyond his original size too far, too fast. Gadgets and Accessories: Pym created a cybernetic helmet that enables him to communicate with ants and other higher-order insects. As Yellowjacket, Hank Pym wore a costume that enabled him to fly and generate electric "stings" from his gloves. 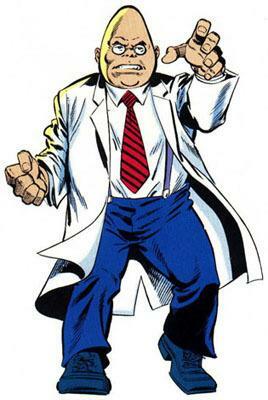 When operating as simply "Dr. Pym", Hank carried a variety of miniaturized weapons, tools and accessories that he carried on his person and would enlarge via Pym Particles when needed. Friends and Allies: Wasp (Janet Van Dyne Pym, his ex-wife, deceased), Iron Man (Tony Stark), Thor, Captain America (Steve Rogers) (fellow founding Avengers), Vision (his android "grandson"), Avengers, the 50 State Initiative. Foes and Antagonists: Ultron, Egghead, Masters of Evil, Kang, Skrulls, female backtalk. Movies and Appearances: As Ant-Man, Hank Pym was featured on the short lived, late 90s "Avengers: United They Stand" cartoon, and his counterpart from the Ultimate Universe appeared in the two animated direct-to-DVD Ultimate Avengers movies. An Ant-Man movie, directed by Edgar Wright, is reportedly in the works. One-Sentence Origin: After discovering sub-atomic particles that allowed him to change size, Hank Pym, whether as a costumed super-hero or a scientist, devoted his life to using his discoveries abilites to battle evil. 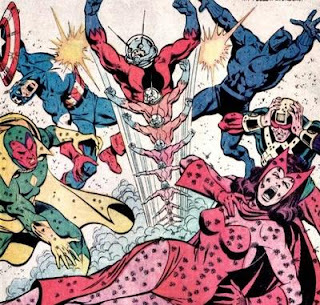 Fun Fact: Pym is at the center of fairly bizarre family, of sorts. He created the killer robot Ultron, who views Pym as his father. Ultron then created Vision, another android who rebelled against Ultron and joined the Avengers, making Vision Pym's grandson. Vision later married the mutant Scarlet Witch, bringing her into the Pym family. Eventually, Ultron also created a robotic companion for himself, appropriately named Jocasta, and programmed her with Wasp's brain patterns, meaning Ultron essentially made himself a wife modeled after his "mother". Jocasta, of course, also rebelled and eventually joined the Avengers as well, for a time. Teebore’s Take: Oh, Hank Pym. He is known amongst comic fans for three things: having a ton of superhero identities, being kinda crazy, and slapping his wife. Unfortunately, the last of those is easily the one that gets thought of first. 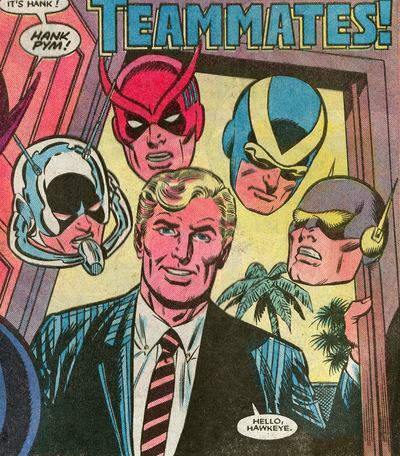 No other character is as defined by one action in one storyline than Hank Pym. In and amongst all the jokes that are made about Pym being a wife beater, it's important to remember he only hit his wife once. Which isn't meant to excuse the action, or belittle it. 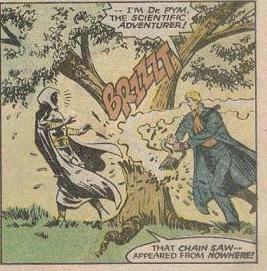 It's simply important to remember that the thing for which Pym is most well-known occurred only once, in the course of a long term story intended to bring Pym to his lowest point and have him accept responsibility for his mistakes, before slowly redeeming himself, and is not a recurring character trait. While his wife-slapping is limited to one instance in one storyline, his other defining traits, multiple identities and mental problems, have been a part of Pym's character almost from the beginning, and continue to define the character. 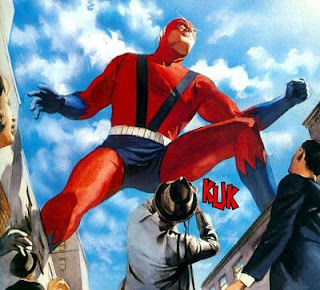 Pym's motivation for changing from Ant-Man to Giant-Man shortly after joining the Avengers way back in the early sixties was triggered by the insecurity he felt working alongside such relative powerhouses as Iron Man and Thor. Later, following his creation of the murderous Ultron, Pym's adoption of the Yellowjacket identity for the first time was brought about by a schizophrenic break. All throughout his long tenure, Pym has ricocheted from one identity to another, and his insecurity and other mental problems are often cited as the reason for the constant changes. Recently, he settled on the Yellowjacket identity, and rose to prominence during the "Civil War" storyline as one the main leaders of Iron Man's pro-Super Hero Registration forces. In the aftermath of that story, Pym became the head of the 50 State Initiative program, helping to train newly-registered heroes and place them throughout the country. 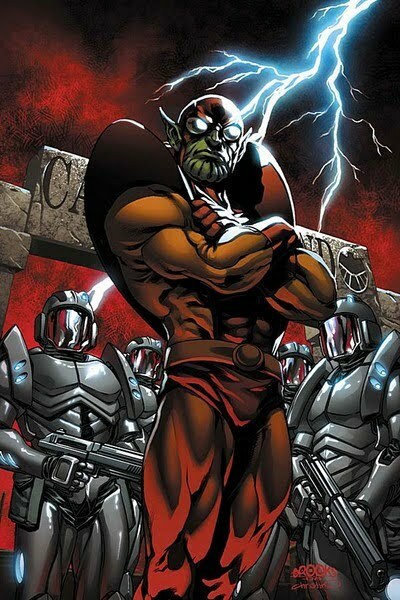 However, it was revealed during the "Secret Invasion" storyline that the Pym that's appeared since shortly before "Civil War" was a shapeshifting Skrull imposter (which probably accounts for his relative mental stability during that period). 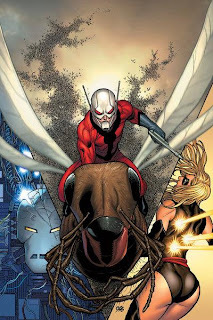 Following the death of Wasp at the end of "Secret Invasion", the real Hank Pym returned, adopting the identity of his deceased ex-wife while becoming the leader of an Avengers team. Maybe it's just pity for poor Hank, but I've always enjoyed reading stories featuring him. As much as the Avengers aren't quite the same when Captain America isn't around, for me, Hank Pym is just as integral a part of the Avengers' dynamic. While being known as the crazy wife beater means Hank isn't usually thought of as the most heroic or noble of characters, it must be said that his characterization has been, for good or bad, remarkable consistent for over forty years, and there's definitely something appealing about that. being that i don't read regular (real) Avengers, i'm most familiar with him in Ulitmate Avengers, where he did more than just hit his wife once. Barring his wife beating, i still like him as a character. "An Ant-Man movie, directed by Edgar Wright, is reportedly in the works." *sigh* Instead of flushing money down the toilet, how about Hollywood just gives it to me. @Falen, A: Much like everything else in Ultimates, elements of Hank's character in the regular Marvel Universe were magnified to become EXTREME and REAL, thus the Ultimate Hank Pym is much more of a near-psychotic, abusive husband than the "regular" Hank. @Falen: Glad you like them. Any character(s) in particular you (or anyone else, for that matter) would like to see featured? Haha! This was awesome! female backtalk! Did any other of the heroes beat women? Was he an exception or was it sort of accepted as a way to handle mouthy women? Nah, Hank is more or less the exception. Offhand I can't think of any other super heroes who share Hank's stance on female back talk (although it wouldn't surprise me if Silver Age Superman resorted to it once or twice behind the scenes. Which, of course, makes it even harder on ol'Hank, since being the only one REALLY magnifies the action. 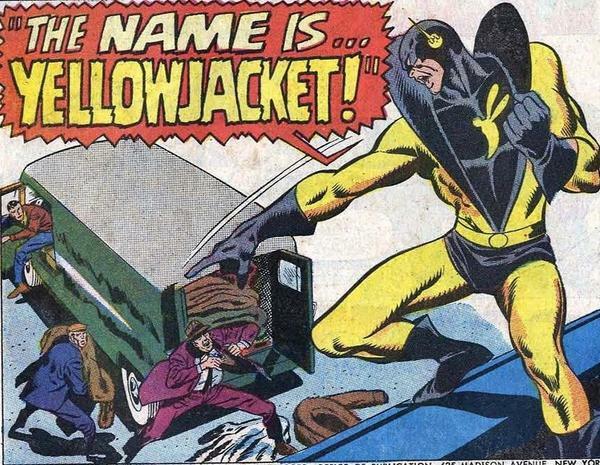 When I was a kid and collecting comics back in the 70s and 80s (I was a Marvelite from age 6 in 76 onward), my favorite superhero (or tied for favorite with Spiderman) was Yellowjacket. 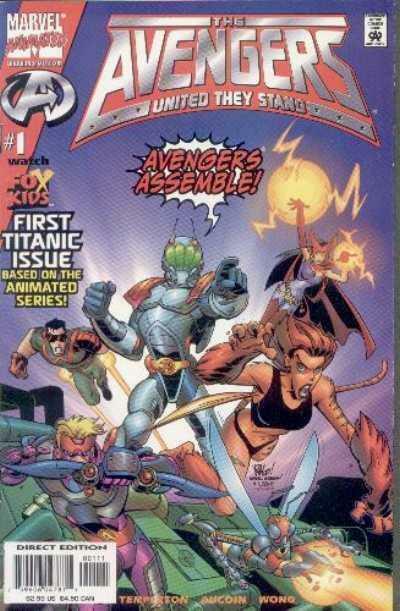 Maybe it was just the cool costume, but I always thought that he (and the Wasp) were a great pair of Avengers. 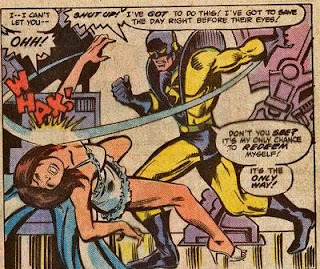 I remember the whole wife-beating issue along with the one (well, ONE of the ones) in which Pym, as Yellowjacket, attacked the rest of the Avengers in a fit of madness. Given...he caught them by surprise, but still...he managed to subdue the others for a while before they rebounded and subdued HIM. That was distressing, but I guess if a character never hits rock bottom (or his wife) they get a little too predictable. Oh well. @Anonymous: Maybe it was just the cool costume, but I always thought that he (and the Wasp) were a great pair of Avengers. 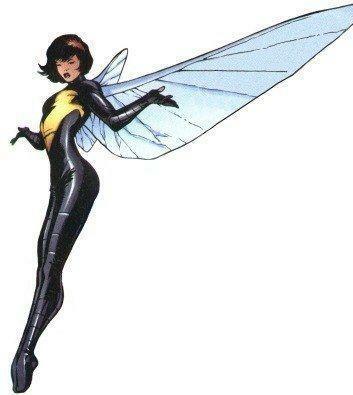 I've also always been a big Hank Pym/Wasp fan. If I was ever given the opportunity to write an Avengers book, the first two team characters I'd put on the team would be them. Fun fact about the wife-beating thing: apparently in the script it was meant to be that Hank only accidentally hit her (he was stressed and all, but as he flung his arms up in frustration he accidentally hit Jan), but the artist misinterpreted it. 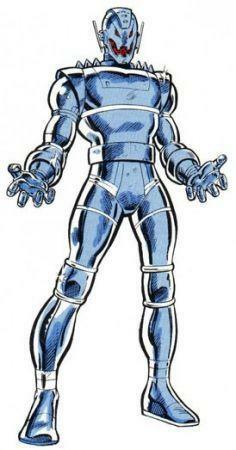 It's simply important to remember that the thing for which Pym is most well-known occurred only once, in the course of a long term story intended to bring Pym to his lowest point and have him accept responsibility for his mistakes, before slowly redeeming himself, and is not a recurring character trait. And yet still writers bring it up and make him feel some sort of remorse over it more than twenty years after it happened, despite the fact that he's been shown coming to peace with it... sigh. On a related note, that actually pretty much is a trait of Ultimate Hank. Later, following his creation of the murderous Ultron, Pym's adoption of the Yellowjacket identity for the first time was brought about by a schizophrenic break. 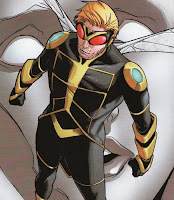 This isn't too relevant, but something I liked that was done in the Avengers: Earth's Mightiest Heroes comic book (half-Untold Tales of Spider-Man-esque continuity filling, half-modernising/updating the 60's Avengers stories) was that when Hank debuted as Yellowjacket, the Avengers recognised him. In the original story, they didn't recognise him until he regained his memory near the end, but in the updated version, they retconned it that the Avengers had always recognised him, but pretended to go along with it so as not to cause an even worse psychotic break. Maybe it's just pity for poor Hank, but I've always enjoyed reading stories featuring him. Me too, although for me I think it's more the insect theme which gets me. I'm a real sucker for insect themes. @Harry: ...but in the updated version, they retconned it that the Avengers had always recognised him, but pretended to go along with it so as not to cause an even worse psychotic break. Yeah, I really liked that retcon from EMH as well.